Richmond County dates back to the late 18th century. Named for the Duke of Richmond, a British defender of the Colonists' cause, formed in 1777 Augusta GA Richmond County has a lengthy history. 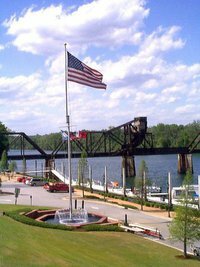 Augusta is a city in the state of Georgia in the United States of America. As of 2000, the population was 195,182. In 1996, the governments of the City of Augusta and Richmond County combined to form a single governing body known as Augusta-Richmond County. 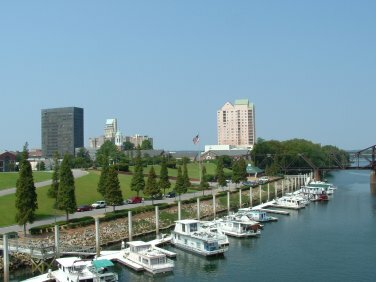 The consolidated city-county is today simply known as "Augusta, Georgia" and not by the consolidated name. The area that comprises the city limits of Augusta (identified during the 2000 census as "the Augusta-Richmond County balance") includes almost all of Richmond County, except for the towns of Hephzibah and Blythe, which maintain governments separate from that of Augusta. The city’s is arguably most famous for hosting the first major golf tournament of each year, The Masters Golf Tournament, the most prestigious event of the PGA Tour. According to 2005 U.S. Census estimates, the consolidated government area has 195,769 residents and encompasses 324 square miles. Richmond County is ranked seventh in population amoung Georgia's counties. Augusta-Richmond County has a variety of recreational activities, with more than 50 parks and playgrounds, eight pools, 33 tennis courts and an 18-court tennis center, and 16 public golf courses in Augusta GA. The city was originally named in honor of Augusta, Princess of Wales, daughter-in-law of King George II of Great Britain and mother of King George III of Great Britain, and was the second state capital of Georgia from 1785 until 1795 (alternating for a period with Savannah, the first). Augusta is located on the Georgia/South Carolina border, about 150 miles east of Atlanta. It is the second largest city and second largest metropolitan area in the state. The region’s three largest employers include the Savannah River Site (a Department of Energy nuclear facility), the U.S. Army Signal Center, Fort Gordon GA, and the Augusta Riverfront Marina. Augusta's official nickname is The Garden City. It is also known as Masters City, since it plays host to the Masters golf tournament. In Hip Hop circles, the city is referred to as "The AUG," being spelled out. The city recently adopted the motto, "We Feel Good", in recognition of native son and soul music legend James Brown. The city also dedicated a statue to James Brown, which is located downtown at the Augusta Commons. President Woodrow Wilson also called Augusta home from 1860-1870 when his father was a minister at First Presbyterian Church. President Woodrow Wilson's boyhood home is open for tours. Another notable Augustan is George Walton, the youngest signer of the Declaration of Independence. His home is also open for tour like President Wilson's. Augusta also has a well established art community. Gertrude Herbert Institute of Art, Morris Museum of Art, Artist's Row, and the Art Council are just a few in the art community. The Augusta Symphony, Augusta Players, and the Augusta Ballet also perform for audiences. The Imperial Theatre is a historic venue where James Brown used to practice. The Savannah River is a crucial part of Augusta's founding and history. Visitors can walk along the Savannah River on the Augusta Riverwalk in downtown. The Augusta Marina rents boats for a fun day on the river. Now, tourists can ride along the Augusta Canal, which was built in 1845 as a power source, in a Petersburg boat. Until 1996, the city of Augusta also known as "The Hill", Summerville, The Garden City was a separate govermental entity from the county where it was located. In January of that year, the city and county governments consolidate, forming Augusta-Richmond County. There also are eight private county clubs and golf courses. Augusta is located at 33°28′12″N, 81°58′30″W (33.470, -81.975)GR1. According to the United States Census Bureau, the Augusta-Richmond County balance has a total area of 793.8 km² (306.5 mi²). 782.5 km² (302.1 mi²) of it is land and 11.3 km² (4.3 mi²) of it (1.42%) is water. Augusta is located about halfway up the Savannah River on the fall line, providing a number of small falls on the Savannah River. The city itself marks the end of a navigable waterway for the river. The Clarks Hill Dam is also built on the fall line near Augusta, forming Lake Strom Thurmond, also known as Clarks Hill Lake. Further downstream, near the border of Columbia County, is the Stevens Creek Dam, which separates the Savannah River from the Augusta Canal. According to Köppen classification, Augusta has a humid subtropical climate. The city experiences mild winters and a humid summer. The average high temperature for the summer months is 90.6 °F, the average low temperature is 67.8 °F. The average high temperature for the winter months is 58.9 °F, the average low temperature is 34.4 °F. As of the censusGR2 of 2000, there were 195,182 people, 72,307 households, and 48,228 families residing in the balance. The population density was 249.4/km² (646.0/mi²). There were 80,481 housing units at an average density of 102.8/km² (266.4/mi²). The racial makeup of the balance was 44.91% White, 50.37% Black or African American, 0.27% Native American, 1.52% Asian, 0.12% Pacific Islander, 1.02% from other races, and 1.78% from two or more races. Hispanic or Latino of any race were 2.79% of the population. The median income for a household in the balance was $37,231, and the median income for a family was $45,372. Males had a median income of $32,008 versus $23,988 for females. The per capita income for the balance was $18,675. About 13.2% of families and 16.8% of the population were below the poverty line, including 24.1% of those under age 18 and 12.5% of those age 65 or over. Augusta is the largest city within a four-county metropolitan area that straddles the states of Georgia and South Carolina and is known as The Augusta-Aiken metropolitan statistical area. The metropolitan area includes Augusta-Richmond County and Columbia County in Georgia and Aiken and Edgefield counties in South Carolina. The US Census bureau estimates as of 2005 that the metropolitan area has 520,332 residents. Augusta is also the primary city within the CSRA Regional Development Center. The CSRA (Central Savannah River Area) is composed of 14 counties and 41 cities all within East Central Georgia. The CSRA is not a metropolitan statistical area, but rather a state economic partnership entity that offers member counties and cities assistance in planning, economic development, business lending, information technology, and government services. The city and county have a 3 percent sales tax, in addition to a 4 persent state sales tax. Fire and police protection, along with garbage service, is provided by local government. The Richmond County Sheriff's Office is staffed by 502 officers. The Augusta-Richmond County Fire Department provides services from 19 stations and handled almost 22,000 calls in 2005. The Augusta-Richmond County emergency transport system provides advanced life support services with state-of-the-art emergency medical equipment and paramedic staffing.